Avoiding another meltdown will consume tomorrow’s G20 meetings. 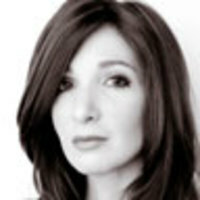 The Daily Beast’s Nomi Prins on the enormous stakes—and how it will play out. Avoiding another meltdown will consume tomorrow’s G-20 meetings. The Daily Beast’s Nomi Prins on the enormous stakes—and how it will play out. The third installment of the G-20 post-crisis trilogy begins tomorrow in Pittsburgh. In the original version, ‘G-20: The Washington Chapter’ last November, leaders were staring at the abyss of global financial collapse. Collective focus centered on those beacons of destruction, toxic assets, and how to keep the banking system solvent. Everyone agreed a coordinated effort was required, and went home. In April’s sequel: ‘G-20: The London Days’, attention shifted to a new president and stimulus, as in Obama wondering, if the US government has stimulated the hell out of its banking system, why can’t the rest of the G-20—especially the European contingent? Oh, and we need a coordinated effort on global regulation. Obama will still be walking a fine line between appearing to be a tough global leader on reform, while preserving U.S. supremacy over global financial regulation. So now, everyone’s back on U.S. soil, for ‘G-20: The Pittsburgh Part.’ G-20 leaders are still talking coordinated effort, but since profitability has returned to the banking system, and no one really knows what exactly happened to all those toxic assets anyway, the level of panic has subsided. Foreign leaders are still angry at the lax mess of U.S, regulation that unleashed universal Armageddon, and the fact that global finance is being floated on the U.S. government’s dime, but not as much. Yet, President Obama will still be walking a fine line with respect to reforms for the beleaguered, albeit improving—on paper, financial system. Not between the U.S. and the rest of the G20, per se. But, between appearing to be a tough global leader on reform, while preserving U.S. supremacy over the most important aspects of global financial regulation. He will also balance the waning wrath of U.S. public opinion about Wall Street with the desires of its lobbyists. There are five main issues that will be addressed: capital requirements for the largest banks, compensation caps, derivatives regulation, and the notion of a global regulator, global tax havens. They are all related. On some he will give a bit of ground to the foreign leaders that want the entire system better regulated. Others items will barely be given a conversation. I’ll spare you the drama. Here’s what will happen: everyone will agree that higher capital requirements are needed, and that derivatives should be traded on regulated exchanges. There will be no compensation caps. There will be no global regulator with any sort of power to do anything, but there will be some sort of coalition that will have meetings occasionally to act like it does. • Steven R. Weisman: 5 Things to Watch for at the G-20• Who’s In, Who’s Out at the G-201) Additional capital requirements for banks. President Obama made it clear in his Federal Hall speech last week that he will push for higher capital levels for the larger (Washington refers to them as ‘systemically important’) banks. The rest of the G-20 will agree. The devil is in the details. According to European capital limits, established through an accord called Basel II, banks must hold 4% of high quality assets for every 96% of debt. On the surface, it looks like big US banks (mostly TARP recipients) have more capital underlying their assets than that, on average 7-10%. But, the quality of that capital is more questionable. European leaders know this. So does Obama. But, he also knows that too much pressure on US banks to reconstruct their books from a capital standpoint will have them whining back to Washington for more subsidies. We can expect a lot of elaborate detailed talk on this issue that sounds like agreement, but won’t do too much to change US banking capital status. Smiles will abound. But, European leaders won’t be happy. They know the only decent capital on US bank books comes from the US government, which simply isn’t fair. Obama may deflect it, or even agree to minor changes in capital requirements, but this agenda item will be back. What would be a better outcome, would be for the European leaders (because Obama certainly won't do it) to push for reducing the size, not merely increasing the capital requirement for ‘too big to fail banks”. A global Glass-Steagall type dissection of commercial from investment banking firms would be a great step toward achieving lasting global financial stability. 2) Compensation caps. Over the past couple days, the French finance minister, Christine Lagarde has already backed away from French Prime Minister, Nicholas Sarkozy’s adamant tone about capping compensation levels globally. British Treasury Chief, Alistair Darling, doesn’t want a cap any more than Obama, who made it clear last week, that he expects Wall Street to cap itself. Obama will need to deftly back away from the bonus issue though, in order to play it to both sides, Europe and Great Britain, Obama will replay bits of his Federal Hall speech, stating that he will continue to put pressure on Wall Street to live up to their social obligations to the American public who is funding their existence. In other words: he’s got it covered. He will probably suggest they do the same in their countries, which haven’t doled out as much to save their banking systems, and maybe even say the Fed will take an active role in restricting risk-related bonuses. Then the matter will drop, creating a stronger alliance on the issue between the US and Britain, and more ruffled feathers between both and the Europeans. Everyone will write up proposals. And, that’s about it. • More Daily Beast G-20 coverage3) Restricting global tax havens. President Obama had been vocal, even before his presidency, about the notion of shutting down tax havens that impinge on U.S. revenues. Other leaders feel the same way, particularly in Britain, where hedge and private equity funds are leaving as fast as they can for Switzerland, and other havens with fewer taxes and no transparency. Lagarde has stressed the need for more transparency of global fund operators, mostly because none of the big hedge funds are domiciled in France anyway, meaning the country isn’t even getting some money out of the deal. On this, there will be agreement. President Obama will confirm that tax loopholes should be closed. Everyone will feel good. And, perhaps a few changes will follow. 4) Derivatives regulation. The G-20 leaders all believe it would be best to have derivatives trade on a global regulated exchange, or to be more precise, on more than one. The Europeans don’t want all the derivatives traffic traded on the CME, and the Americans don’t want it to all go to London. Enter the new business of derivatives exchange arbitrage—but that’s for a later piece. Meanwhile, there will be agreement that more transparency is required, more capital should be posted against positions, and stricter counterparty limits should be adhered to—no one in the world wants another AIG. This will be a place for Obama to shine. 5) Overall global bank regulator. This issue is both the biggest political hot potato and fairly insignificant, because whatever happens, it won’t matter. The rest of the G-20 is right in believing that lack of appropriate regulation drove the US banks to take stupid risk, and that, though European banks partook in the risk-fest, too – they didn’t screw up quite as badly, or receive quite the same helping of bailout pie. German Chancellor, Angela Merkel has openly stated that she views "with great skepticism, the powers of the Fed.” But, there’s still no way Obama’s giving up any regulatory authority ground here. He's too enamored with the Fed, and talents of Ben Bernanke. So what will happen instead, is a tremendous amount of inconsequential conversation about some kind of global regulatory team that will watch global finance, have meetings, maybe eke out some reports. In the background to these five issues of financial regulation, lies the dollar. The now infamous Chinese tire-incident sparked cries of protectionism that although subdued, are not forgotten. Here Obama will still have to tread lightly. He will need to play to his global audience. The US has a lot of Treasury bonds spread around the world, particularly in China. A devaluation of those bonds, while the US debt load is rising, would not help anyone. Not the holders of the bonds. Not the US. In the end, the outcome of this meeting will be pretty much the same as the other ones, but Obama will probably gain ground, since he will gear the conversation towards topics that are either presented in too general, or too detailed a fashion. It will seem like progress has been made. And when the two days are up, lots of global handshakes will reconfirm the promise to continue to work—in a coordinated effort—on the state of global economic system—until the next G20 summit.